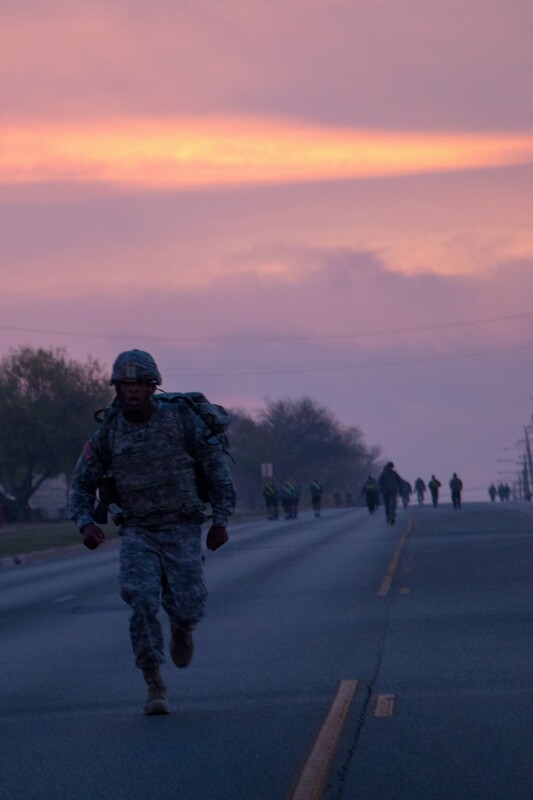 FORT HOOD, Texas - Ironhorse Troopers took on a grueling challenge to be inducted into the Order of the Iron Hammer here Dec. 10. It started with a 3.5-mile ruck march, then an Army Physical Fitness Test, then a 100 m "burpee" broad jump challenge, and concluded with a timed 11-obstacle course with a sprint to the finish line. 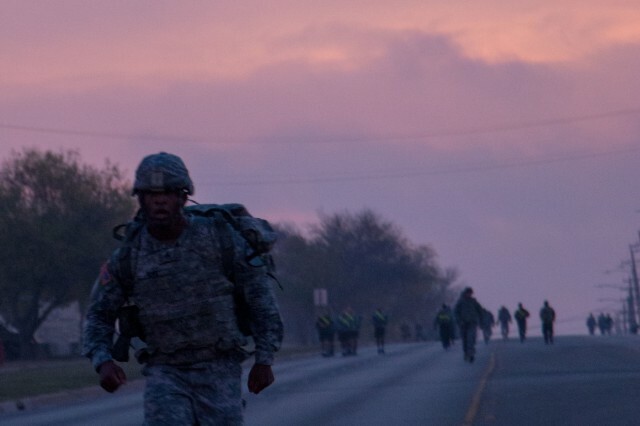 The idea for the event came from time in the 2nd Battalion, 8th Cavalry Regiment, 1st ABCT, where they held the Attack Tab Competition, said 1st Sgt. Thomas Thornhill Jr., HHC, 1st ABCT. A brigade headquarters company presents unique challenges, he said. On a day-in and day-out basis, a headquarters team has a tendency to drift apart into their separate staff sections, and this challenge created an opportunity to bring more cohesion to the unit, said Thornhill. 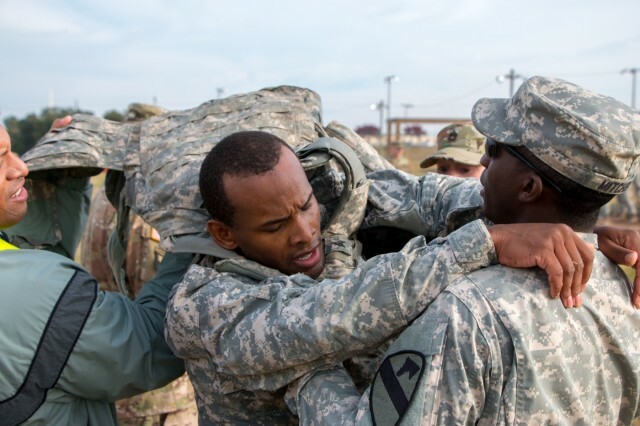 "Not only does it have the team building aspect of it, but the Soldiers get a chance to really live and embody the Warrior Ethos," said Thornhill. 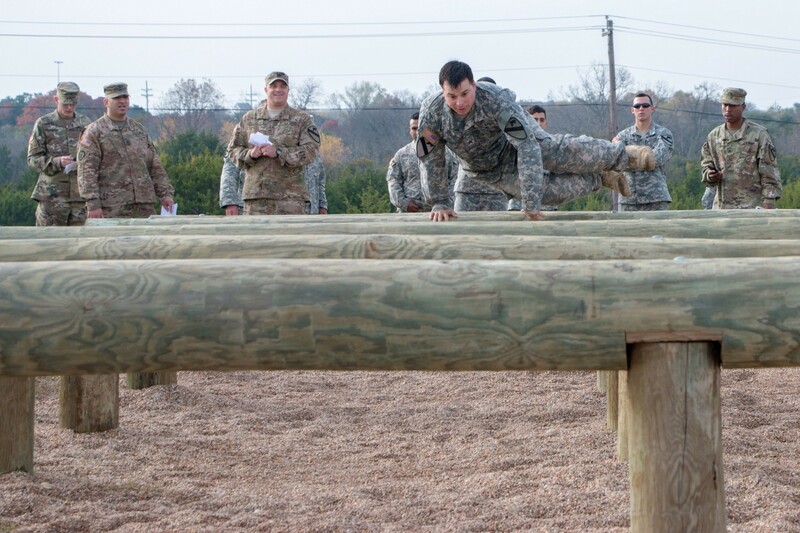 Officers, noncommissioned officers and junior enlisted Soldiers from various military occupational specialties participated during the challenge, competing for points in each event. Those that earned more than 400 points received a certificate of achievement, a company coin, a three-day pass, and are considered members of the Order of the Iron Hammer for the company. Each person had their own reasons for competing in the challenge. 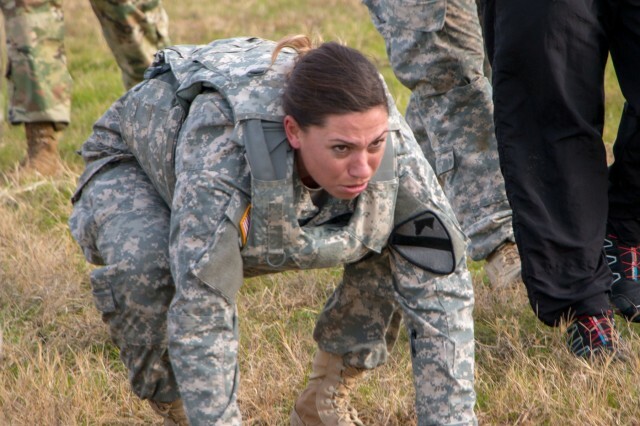 "I did it to prove to myself that I could do it," said Pvt. Michelle Strang, unit supply specialist. "I also did it to be a part of our team, and that's what we are - one team, one fight." Sgt. 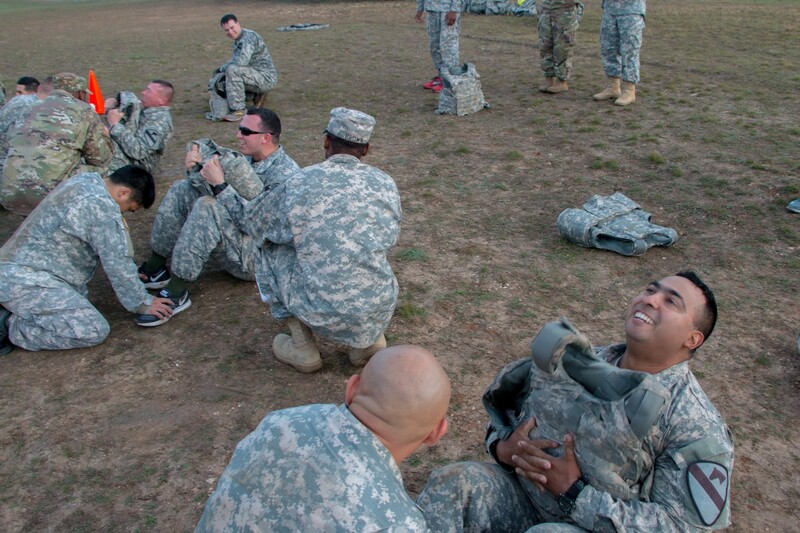 Patrick Maurer, cavalry scout, HHC, 1st ABCT, said he participated because of his own need to push himself. He said he made it through with the encouragement from those participating and cheering on fellow competitors. "Everybody's there collectively. Even though it's a competition, everybody's wanting you to do well, and that is what brings everyone closer together," said Maurer. After the event was complete, everyone in the company was invited to an afternoon of hamburgers and hot dogs to celebrate the completion of the challenge. "It doesn't matter if you're last or first; the point was that we competed," said Thornhill. "They can now consider themselves members of a very distinguished group."